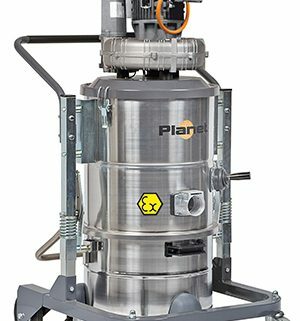 The IPC Soteco Planet 152 1.1 is a zone 22 rated industrial vacuum cleaner, it has a powerful 1-phase motor providing a superb airflow and suction capability. They are ideal machines for customers that have to work in sensitive environments and require reliable equipment. Excellent for zone 22 rated environments including joinery/woodworking, flour mills, bakeries, pharmaceuticals and laboratories. 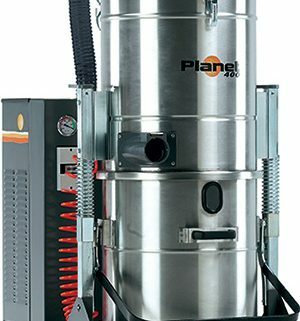 The IPC Soteco Planet 400 vacuum cleaner is a compact but powerful 3kW machine. With its steel head construction and large inlet diameter the machine is durable and suitable for heavier duty conditions. 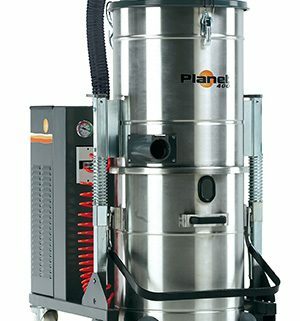 The IPC Soteco Planet 200 vacuum cleaner is a compact but powerful 4.2kW machine. With its steel head construction the machine is durable and suitable for heavier duty conditions. 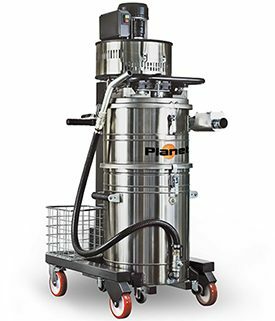 A practical wet and dry vacuum cleaner for use in fabrication and machine shops, excellent for picking up chips and oil wastes and separating them. The IPC Soteco Planet 150 vacuum cleaner is a compact but powerful 2kW machine. With its steel head construction the machine is durable and suitable for heavier duty conditions. 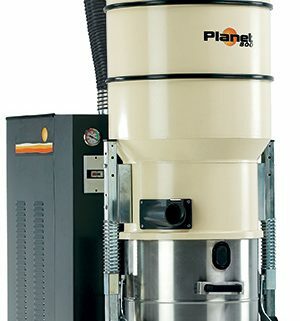 The IPC Soteco Planet 600 vacuum cleaner is a compact but powerful 4kW machine. With its steel head construction and large inlet diameter the machine is durable and suitable for heavier duty conditions. 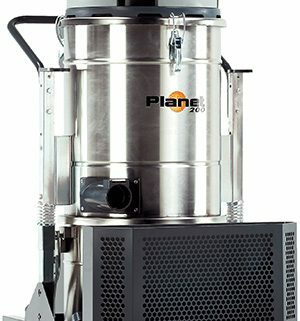 The IPC Soteco Planet 300 vacuum cleaner is a compact but powerful 3kW machine. With its steel head construction and large inlet diameter the machine is durable and suitable for heavier duty conditions. 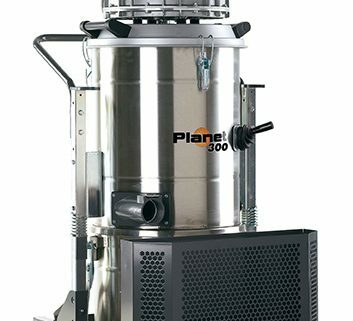 The IPC Soteco Planet 1000 SM vacuum cleaner is a compact but powerful 5.5kW machine. 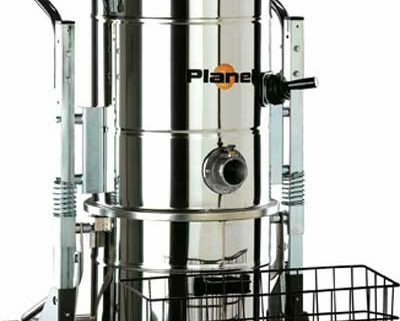 With its steel head construction, large inlet diameter and 35000cm² filter situated in the upper tank makes the Planet 1000 excellent for the collection of fine dustsin large quantities, the machine is durable and suitable for heavier duty conditions. It is an ideal all rounder for applications such as, paper and other light general wastes, engineering applications including liquids such as oils, oil/swarf mixtures and dirty water as well as general none 22 ATEX zone dusts including hot dusts, sand and heavier materials. 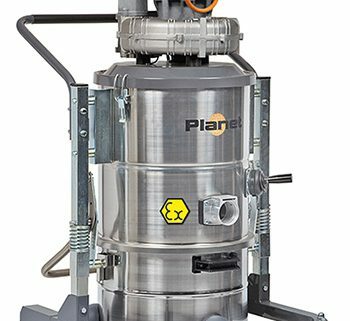 The IPC Soteco Planet 152 is a zone 22 rated industrial vacuum cleaner, it has a powerful 1-phase motor providing a superb airflow and suction capability.